Now that it's spring, it is the perfect time to start making a Christmas quilt with no pressure! This Snow Globe village is snow cute! Our Christmas quilt is filled with 8 magical snow globes each with its own theme. The snow globes, peppermints & snowflakes and four patch borders are fun to make. The quilt consists of raw-edge fusible applique along with pieced blocks and borders. **THIS WILL BE FOUR ALL DAY CLASSES** Bet you'll get it done! This handbag is great for everyday use. It has 10 pockets. Wow! That really keeps it organized. Even has a key fob clip, so you won?t have to search for your keys. Another wow! I used cork fabric for the bottom of the bag and recycled some blue jeans for the outside. Webbing for the handles makes that part easy and durable. You will learn handbag construction, inset zipper, separating zipper and how to box out the bottom. This will become your "Go To Purse." Come join this class and experience the ease of sewing on cork. "Dear Daughter" is one of our Block of the Month classes for 2019. 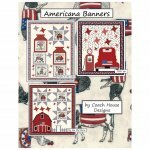 The quilt features uplifting messages and colorful fabric and is a wonderful assortment of sewing techniques that require an intermediate to advanced skill level. You may also want to include additional fabrics from your own stash, especially those from family memories. ABC's or 123's are in your soup, but families, forever, memories, joy, love and laughter are in Cherry Blossom's. This fun family quilt can be created just as Cherry has it or you can go wild and create your own. She has included a scaled grid and 81 designs with SVG cutting files or in-the-hoop designs (you choose), this fun quilt will be an all-day class, so we can work with your Silhouette cutting machine (or your favorite cutting method - by hand? 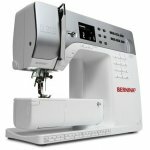 ), sewing machines or embroidery machines. This year in our beginner's class we will be making three fun projects! They are all so cute and we are so excited for the kids to make them this year! The projects are...a bean bag chair, a notebook cover, and an adorable scrunchie for your hair! Some techniques they'll be learning are: how to sew in zippers, sewing curved edges, sewing with elastic, and more! Come join the fun with us this summer! This class is perfect for kids who have little to no experience. Pull out your swimsuits and let's head to the pool! These 3 cute projects are the perfect essentials you need for being out in that hot sun by the pool. We will be making a beach bag towel tote, a sunglass case, and a water bottle holder. 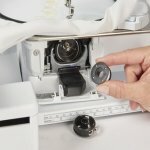 This is a great class if you have some sewing experience. Come have fun with us! You won't want to miss it! The advanced class has always been one of my favorites because each year we make quilts. Quilts are so much fun to make, I love it! Come join in on the fun as you work with different-sized blocks. Then, piece by piece, you'll see your quilt top come together.